Hi, my name is Marin, and I’m currently a senior pursuing a Biomedical Engineering degree here at Hofstra! I come from a small town in northern Vermont so you could say coming down to Long Island for college was a bit of a change for me. For example, cows don't outnumber people here! I love being here so close to the city...it’s brought me so many opportunities - both educational and recreational. These opportunities have literally brought me to the city, itself. Through various classes and being in the Honors College, you can venture into the city and sometimes earn extra credit! If neither of those sound appealing to you, maybe participating in the Explore Next Door (E.N.D.) 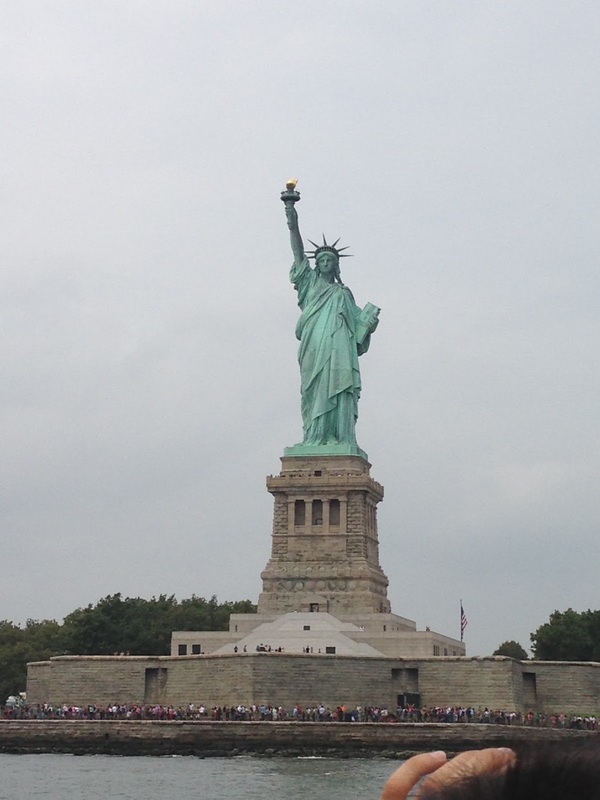 trips that Hofstra offer will interest you! Through the E.N.D. trips, I’ve gone to a baseball game at Yankee Stadium (where the Red Sox won! 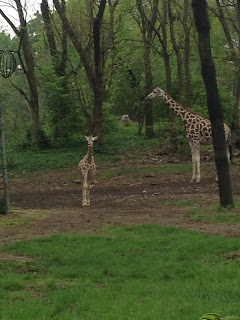 ), I’ve been on a boat tour that went around the city, and I went on a trip to the Bronx Zoo. 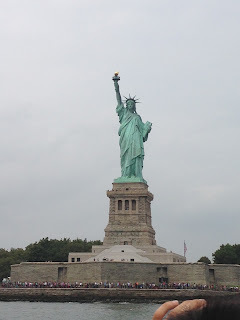 Passing the Statue of Liberty while on a boat tour around the city! Another perk of being close to the city is going to see Broadway shows. There are a few ways to obtain tickets: you can go into the city to a "tkts" Booth (they have various locations in the city); you can go on an E.N.D. trip with Hofstra; or you can even enter a show's lottery, which take place a few hours before a show is set to open. You can also just buy tickets the old fashioned way. Here's a throwback to freshman year when my friends and I stood on the red staircase in the middle of Times Square! You can see one of the tkts booths in the background. My favorite (and luckiest) Broadway experience was participating in the ticket lottery for the show Wicked. 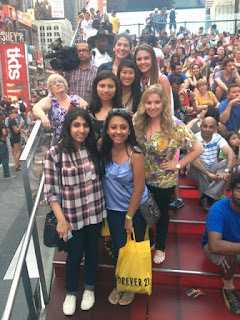 My friend and I woke up to get into the city by around 10 a.m. to head to the Gershwin Theater to enter the lottery. The drawing happened one hour before showtime, so after we entered we went to grab some food and coffee. When we came back, there was a large crowd of people - all of us waiting to hear if we were one of the lucky 10 to be called. The first five people were called and no luck...neither of us were called. And just when I thought there was no hope, my name was called as the eighth winner! Upon getting my tickets, I noticed they were front row orchestra seats, and it was my first Broadway show! The ticket lottery was an experience I will never forget.